Bill Cole, MS, MA, is one of the most prominent, prolific and successful performance psychology consultants working today. Headquartered in Silicon Valley, California, he maintains a global consultancy, traveling the world advising top performers. He is the mental game coach to celebrity athletes, top business people in sales and public speaking, interview skills, musicians and actors in Hollywood and military and police. He has been mental game coach or consultant to Olympic athletes who have won Bronze, Silver and Gold medals. He's coached thousands of recreational, junior high, high school, college, professional, world champion and world record-holding athletes. Bill has been the mental game coach or sports psychology consultant with athletes or coaches of 19 world and national teams, nine international and Olympic teams, 32 professional sports teams, associations or leagues, and of athletes who have won 36 world and national championships. He has been the mental game trainer for thousands of athletes, coaches and parents in over 100 sports, at all ages and skill levels. Bill has been a leader in the field of sport psychology for over 40 years, as a scholar, researcher, writer, teacher, coach, athlete, trainer, speaker and consultant. He is a thought leader and expert in the worlds of peak performance, coaching and the mental game. He was the first person in the world to earn an undergraduate degree in sports psychology, and is the Founder and President of the International Mental Game Coaching Association, which trains and certifies mental game coaches worldwide. 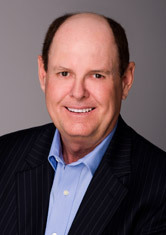 Bill is an internationally and nationally recognized authority on peak performance and coaching. An award-winning scholar-athlete, he has coached at the highest levels of Olympic, major-league pro sports and big-time college athletics. A multiple Hall-Of-Fame honoree as an athlete, coach and school alumnus, he is an in-the-trenches coach and consultant and is the creator and developer of many leading-edge workshops, seminars and training programs. Bill has authored multiple books and over 550 articles worldwide. He also maintains a busy practice in sports psychology coaching at his offices in Palo Alto, for both California clients and clients all over the world, by telephone, and video conference. https://www.sportspsychologycoaching.com/ is his sports psychology web site, which offers a valuable 65-question assessment tool at no charge to assist you in determining what is getting in the way of your performing to your full potential in your sport. It will help you discover your strengths and weaknesses and provide you with a quick overview of where you stand with your mental game. Mr. Cole was the first person in the world to be awarded a Bachelor of Science (with honors) in Sport Psychology, from The State University Of New York at Buffalo. As an undergraduate, he was awarded the Albert Zeigler Award for academic excellence. As a graduating senior, he won the Clifford R. Furnas Award as a University Scholar-Athlete. He holds a Master of Science in Physical Education with specialization in sport psychology from California State University-Fullerton (1986). In his last year he was inducted into Psi Chi, The National Honor Society In Psychology. In 1997 he graduated from Santa Clara University with a Master of Arts degree in Counseling Psychology. "Bill Cole is a leading Olympic sports psychologist." "Bill Cole is a world-leading authority on sports psychology." "Bill Cole is a leading author on sports psychology." "Performance psychology consultant Bill Cole has counseled many of the world's top athletes and knows how to combat stress and anxiety." "Bill Cole is a renowned sports psychologist and 'mental game coach' who helps athletes cope with the demands of intense competition." Learn more about Bill Cole in his expanded bio. "There is nothing more fulfilling for me than seeing my clients come full circle, to find the mental power they always possessed, but never realized."